In many organizations, most managers use more data to manage their fantasy sports teams than they use to make decisions about their own employees at work. I always enjoyed that example and it works on a number of levels, but on that particular night, something about that quote really resonated with me. Before I continue, if you’re unfamiliar with fantasy football, click here for a beginner’s guide to it. The goal is simple: select the professional players you think will play well in the upcoming season during your fantasy draft, and each week determine which of your players can have a successful week. While owners can make managerial moves throughout the season to improve their team (trades, free agent acquisitions, etc. ), the draft is critical to success. Draft well, and an owner can be on their way to a year full of wins and bragging rights. Draft poorly, and you're doomed to a year of disappointing losses and harsh criticism on the fantasy message boards. In short, the decisions you make during a fantasy draft directly impact how successful you will be that year. So back to my story. On the night in question, I was gathered with my friends - the other owners - and everyone was making final preparations for the draft. The countdown timer on the fantasy draft room told me I had about 21 minutes before the draft would begin. I frantically scanned each of the 7 internet browser tabs I had open on my laptop. After verifying that I had the information I needed all queued up and ready for the draft, I began to take stock of my competition. Scanning the room, I could see that everyone else was going through their own final preparations and rituals to give them an edge. With the exception of one guy still struggling to connect to the Wi-Fi (seriously, it’s 2016… do I have to explain what “case sensitive” means? ), everyone was diligently studying their assembled data, trying to get that one extra tip that would give them an edge. Laptops in front of every person, most with several websites sites open. Stacks of paper printouts and cheatsheets (yes, there are fantasy football cheatsheets, and yes, most people use them). 3 guys with both of the above, plus a paper notebook with several pages of their own hand-scrawled notes. One guy had printed spreadsheets containing the results of the dozens of mock drafts he had done in the weeks preceding that night's festivities. Seeing this, I thought of the aforementioned quote and laughed to myself. I've worked with hundreds of organizations over the years, and with a few exceptions (maybe), I've not seen any organization approach employee selection with the degree of rigor and preparation that even a novice fantasy football player puts into selecting their fantasy football team. No, there wasn't a single person in my league willing to simply 'wing-it' and draft their team by gut feel without the assistance of some amount of data. Compare that to how the average manager approaches a real selection situation with real consequences. Most managers probably have little more than a resume to review before the interview. And he/she probably spends less than 10 minutes reviewing that resume and preparing for the interview. I'm often shocked to learn how many new managers are sent into their first selection situation woefully unprepared to fully evaluate candidates and make a selection decision that they won't regret. 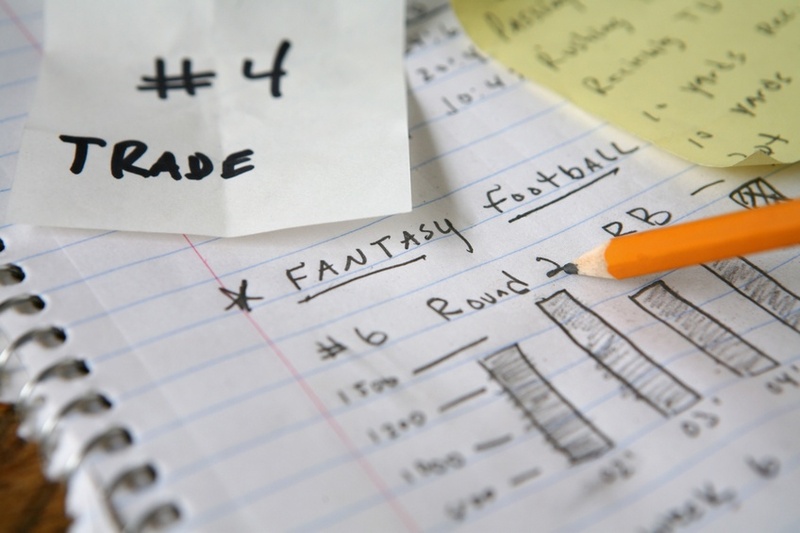 What can hiring managers learn from fantasy football to win their "draft" and make better selection decisions? If you ask me, we can learn a lot! It all comes down to preparation. Look, I know it can be humbling for managers to admit they aren't able to make a good selection decision using their instincts and gut feel alone. It is human nature to trust our judgment with confidence. But without proper preparation, our judgment can actually work against us. As humans, we're prone to all sorts of bias that can over-ride our judgment and decision making. We're quick to take credit when we make good judgments, and equally as quick to blame outside forces when our decisions don't turn out as well as we planned. With adequate and proper preparation, hiring managers can be right more often, and 'win' their draft, but only if they prepare properly. Over the next several weeks I'll breakdown the key lessons we can learn from how fantasy football owners approach their selection process. Lance is the Director of Client Strategy for Select International. In this capacity, Lance serves as a thought leader dedicated to improving the customer experience and driving revenue by articulating/translating how Select International's products and services address specific customer challenges. 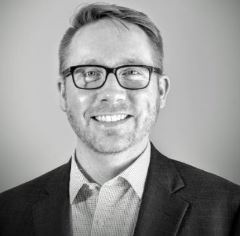 For more than a decade, Lance has led a large number of large-scale projects involving the design, implementation and evaluation of assessment solutions across multiple jobs and within multiple industries, such as retail, financial services, manufacturing, telecommunications, healthcare, and more. His professional and research interests focus on assessment system effectiveness, legal defensibility, sustainability, and innovations in assessment methodology. Lance has a M.A. in Industrial/Organizational Psychology from Minnesota State University, Mankato, and is an active member of the Society for Industrial and Organizational Psychology (SIOP), the American Psychological Association (APA), and Minnesota Professionals for Psychology Applied to Work (MPPAW). His research on assessment and selection practices has been published in peer-reviewed journals, book chapters, and presented at annual conferences.